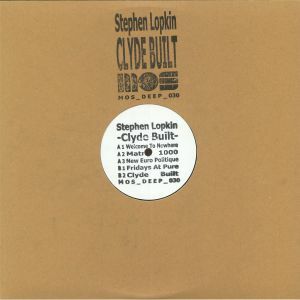 Stephen Lopkin is back on M>O>S Deep with a great double pack of that gleaming sound. The Scottish artist has been making prickly house and techno for almost a decade. 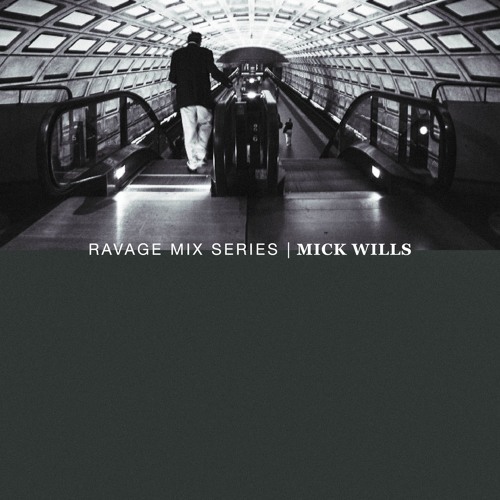 His style is serene and slick, and across the 10 tracks here he manages to conjure tracks that work in the club but that come with plenty of cerebral qualities. 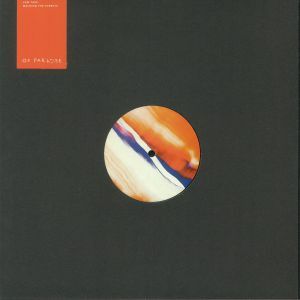 He never made a secret he takes a lot of influence from early Detroit Techno, even Several track titles pay direct homage to his musical heroes like Derrick May, Kevin Saunderson, Carl Craig and also the track New Euro Politique is made in memory of the late UK producer Matt Cogger aka Neuropolitique. Dusty grooves from the dunes of Scheveningen. 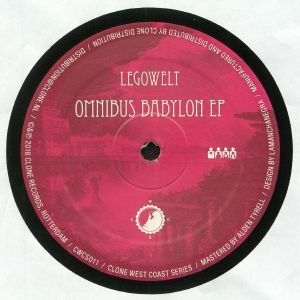 Inspired by myth, legend and scifi; Legowelt conjures up four ancient mysticism and space odyssey themed tracks that will take you on another journey through psychedelic space and paranormal rituals. Of Paradise join forces with rising Russian talent, Low Tape, for an EP of deftly crafted and explorative house & electro. Comprising of four slices of soaring electronic music that collectively showcase a new and hybrid sound. 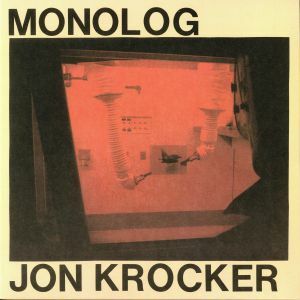 Dark Entries presents the first ever vinyl issue of Jon Krocker’s debut album ‘Monolog’ originally released on cassette in 1983. Jon is from Winnipeg, Canada and got his start as half of the synth noise duo Dialog. In 1981-82, while studying for a BA in Film Studies, he would go to the studio and practice. No writing or patch memories, composing on the fly. His set up consisted of a Minimoog, Oberheim Two Voice, Roland RS-202, Roland Space Echo, EML 400, Roland DR 55, Roland System 100 mixer. After playing some of the songs to Impulse Records store owner Roman Panchyshsyn, he agreed release the album on cassette on Contagious Records. Primarily influenced by the German school typified by artists such as Conrad Schnitzler and Kraftwerk, Jon’s music exhibits the cold machine ethic of the neumusik. The 12 instrumental tracks are stark and minimal, at times anxious but overall space orientated and flexible. 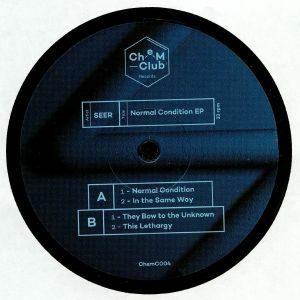 Chem Clubs fourth EP titled Normal Condition by Brooklyn based duo SEER. Melds the atmospheric and distorted into a perfectly twisted mind bender of a release. Digging deep into the Chicago Rave vaults to re-issue the debut EP from Billy Nightmare aka “Mystic Bill” Torres. Growing up in Miami, Bill was involved in various parts of the music industry, from working at Flamingo Record Pool, to playing guitar for the band Life In Sodom (80’s Synth/Goth band). His interest in both House & Industrial music inspired him to make his move to the Windy City. Bill quickly became involved in the night scene with residencies at clubs like Shelter, Crobar, & Smart Bar. ‘Reality Check’ was released in 1996 on Woody McBride’s label Sounds. 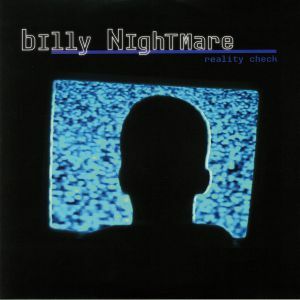 Originally the project was to be titled ” Billy’s Nightmare”, but to avoid being jinxed for life, Torres decided to switch it to Billy Nightmare. He put the Mystic Bill alias aside, got a hair cut, changed his sound and became this new persona. ‘Reality Check’ consists of 4 tracks, recorded at Mirage Studios in Chicago in 1996. Two tracks on the A-side are dark thumpers and will haunt your head for days. Side B has 2 versions of the same song, lighter and funkier in mood both show the diversity Mystic Bill is capable of producing.